This discussion was started by Heis on April 15, 2019 and has 12 replies. We go again this Sunday night at 8.30pm! Yes it's Easter, but what else we going to do? This time, we're going to change it up and have dps only maps and support only maps just for a bit of fun. We might even round the night off with a mystery heroes map. So if you'd like to be involved again, just post in the forum below. If you're new to EGN, please also add your current SR so we can balance the games (all skill levels welcome). To begin with, I'm going to reserve 4 out of the 12 spots for new OW members of EGN but we'll almost definitely need reserves just like we did last time. Chadinho, TheOnlySaiyan, Brash03 and 4 others like this. Toxic and Heis like this. vBigFlex, Toxic and Heis like this. Turk_Movement and Heis like this. vBigFlex and Heis like this. 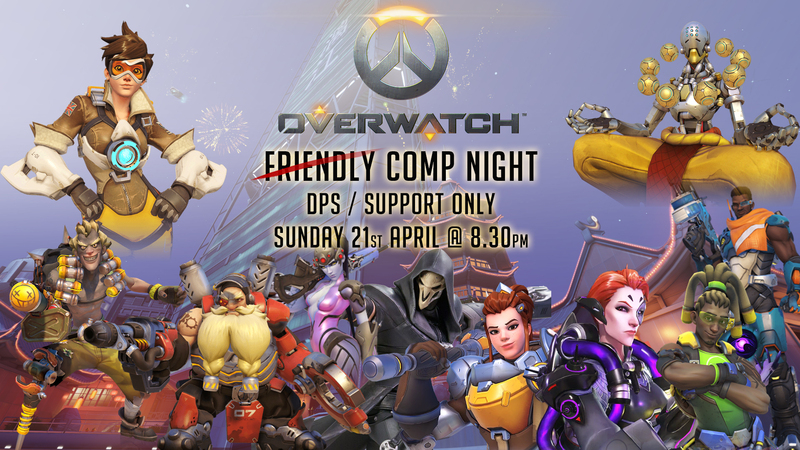 Join the Overwatch Players team we have where we organise comps like the one coming up on the weekend and stacks for whenever we're free. We even got a Facebook Chat for anyone who's keen af. Chadinho, GETMADM7, rey15198 and 4 others like this.